The announcement phase for the German Design Award 2020 has begun. You want to join? Then click on the following link to get to the registration. More information about participation can be found here. 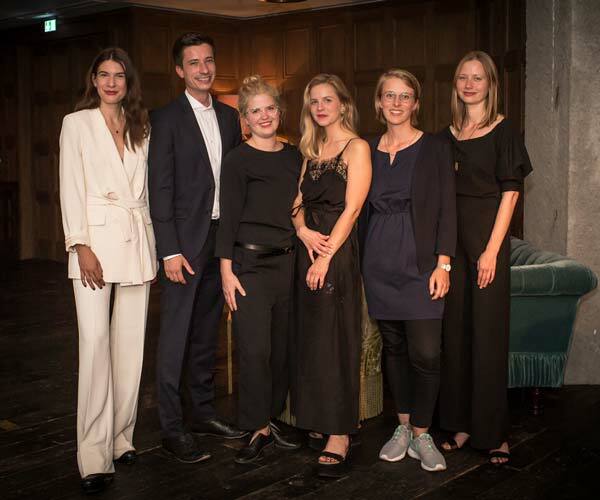 The award ceremony of the German Design Award 2019 took place on 08 February 2019 in the context of the Ambiente fair in Frankfurt am Main. Here you'll find pictures of the exhibition of the winners 2019. Utilize the potential of your award! Depending on the distinction, you may use the Gold, Winner or Special Mention label to an unlimited extent for your communication purposes and promoting the submitted entry. With more than 1,300 guests from the fields of politics, industry, design and press, the award ceremony is one of the most significant design events of the year and is an ideal opportunity to establish important contacts and cultivate networks. Accompanying the award ceremony, all winners of the German Design Award will be presented to the public in an exhibition. All winners in the category Excellent Product Design will be featured within the scope of the fair Ambiente. The winners in the category Excellent Communications Design will be presented in an exhibition at the Museum Angewandte Kunst. All participants may present their entry with a brief dual-language text and photo, as well as contact details in an online gallery, to further strengthen the nominated entry. Your award presented on another stage: With the app design oriented users explore new trends and inspiring products and projects from the world of design. 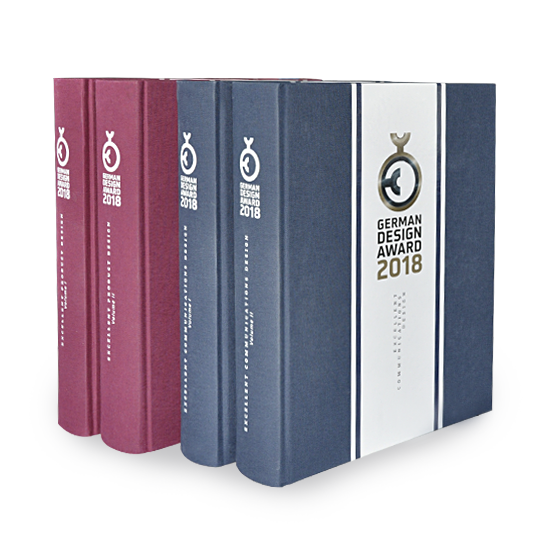 The catalogue accompanying the German Design Awardy will be released at the time of the award ceremony and guarantees you a place among design avantgardes. It is an indispensable reference guide for current design developments. We make your success tangible. As a winner you receive access to exclusive marketing articles, which you can order from our Marketing Services. Presenting all winners and products nominated for this year’s award, the accompanying catalogue to this first-class design competition provides a summary of the innovative trends that are currently occupying the international design scene. The catalogue consists in Excellent Product Design and Excellent Communications Design.